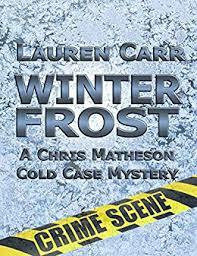 Synopsis (from Amazon): Investigative reporter Ross Hunter nearly didn't answer the phone call that would change his life - and possibly the world - forever. These questions and their answers lie at the heart of Absolute Proof, an international thriller from best-selling author Peter James. One (or more) Sentence Summary: Absolute Proof was a great read with lost of twists and turns. 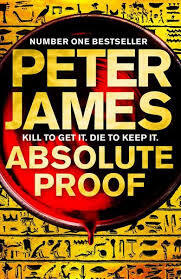 Peter James' Absolute Proof is combination of Sidney Sheldon (dating myself), James Peterson and Dan Brown. There is a lot going on in Absolute Proof, but I felt it kept it exciting and made me want to listen to another chapter. There are also a lot of characters and I was able to keep them all straight. I think it was easy to keep them and their story all separate because their background was so well written. 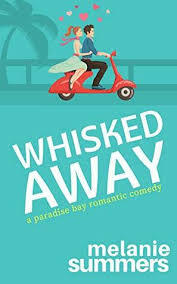 The book starts with Ross (the main character) nursing a hang over. He goes into the hotel's gym and while working out, has a vision of his twin brother Ricky, dying. The experience was so intense that Ross thought he was actually dead. After the funeral, Dr. Cook contacts Ross to tell him he has proof that God exists. Ross is reluctant to work with Dr. Cook, but he has a message from his brother Ricky. Ross agrees to work with Dr. Cook, who ends up dead. Ross continues to work with the clues Dr. Cook gave him before dying and ends up being in a lot of danger. There are a lot of people who want the proof that God exists. As the plot thickens and Ross puts himself in more danger we get to experience his journey in finding out if God does exists. Absolute Proof is not a quick read, but is a good book with lots of characters, sub stories, and a thrilling plot. Would I Read Other Books by the Author: Peter James' Roy Grace Series looks really good and I would like to read the series. 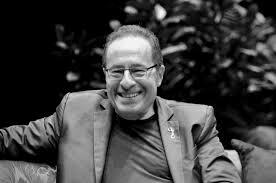 Peter James is a UK No. 1 bestselling author, best known for writing crime and thriller novels, and the creator of the much-loved Detective Superintendent Roy Grace. With a total of 13 Sunday Times No. 1s under his belt, he has achieved global book sales of over 19 million copies to date, and has been translated into 37 languages. His new book Absolute Proof – a stand-alone thriller.